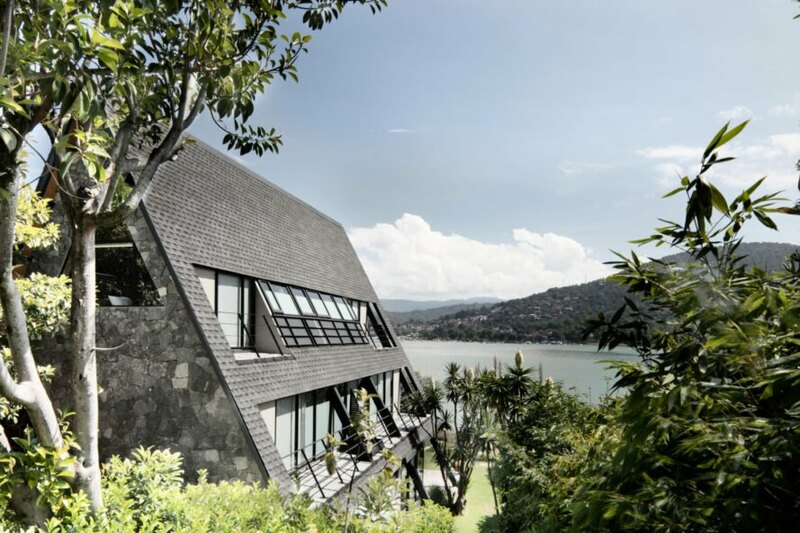 On the edge of Lake Avándaro in the Mexican town of Valle de Bravo is House A, a beautiful, contemporary home that’s designed by Mexico City-based architectural firm Metodo in collaboration with Ingeniería Orca to embrace views of the lake. Named after its sharply pitched A-frame construction, the three-story home is built with walls of glass and folding glazed doors to create a seamless connection with the outdoors. 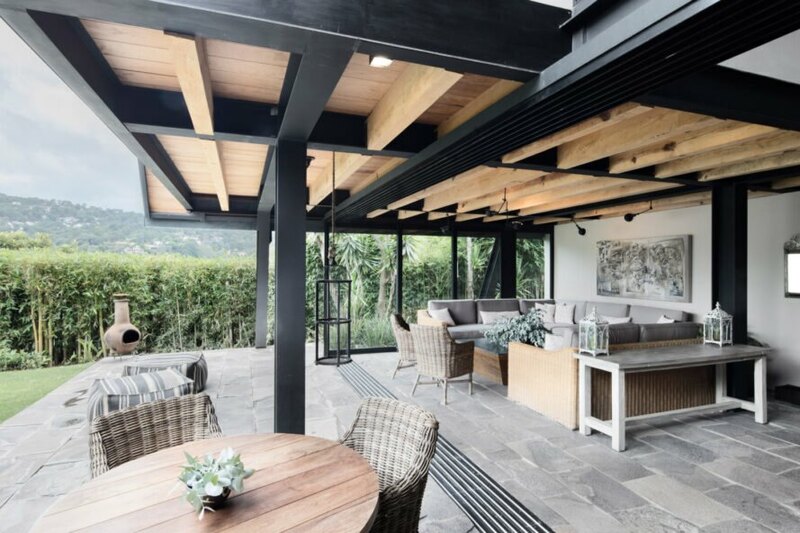 A palette of natural materials complement steel and glass elements to create a modern and warm ambiance. Spread out over three floors with an area of 3,523 square feet, House A was created with large gatherings and entertaining in mind. 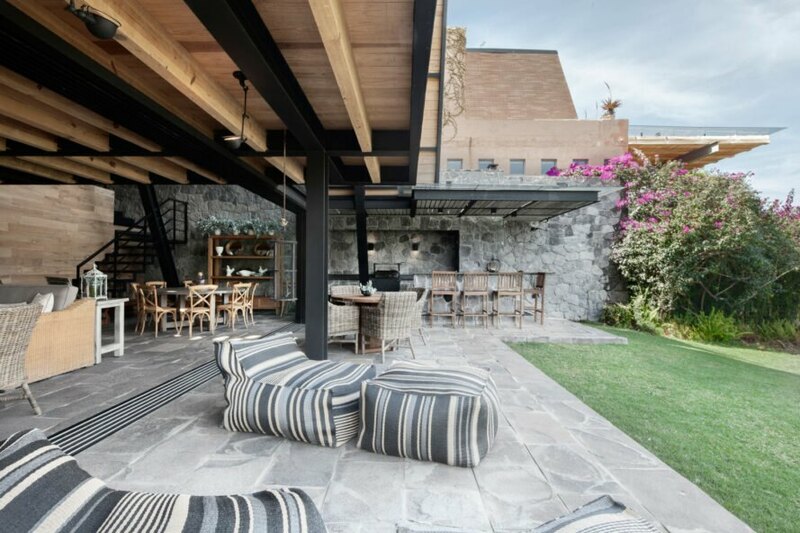 The ground level, which opens up through folding glazed doors to an outdoor patio and lawn, comprises an open-plan living area, dining room and kitchen; a TV room; service rooms; and a guest suite. The main entrance and parking pad are located on the second floor, where the first master suite and children’s room can be found. The small third floor features a second master suite, a yoga terrace and a secondary children’s room. The architects built the dwelling with a contemporary steel structure along with local construction techniques and materials. 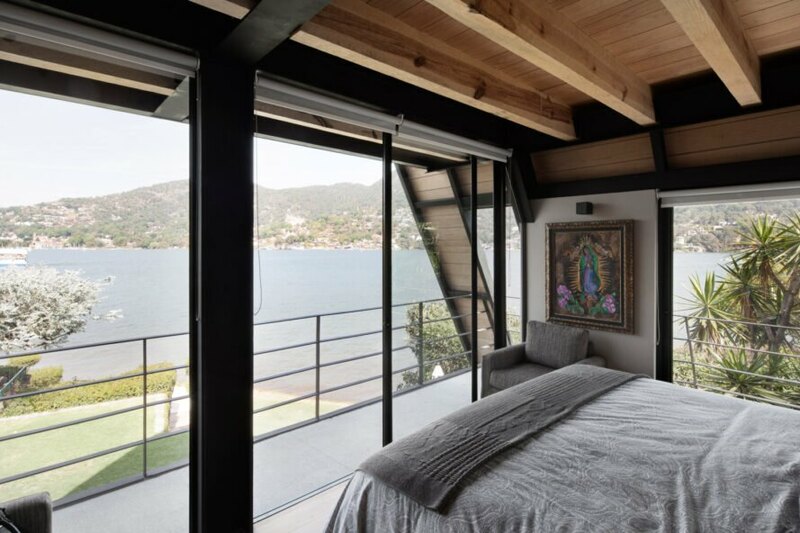 The house is oriented toward the north for views of the lake while lateral balconies, inspired by boat decks, let in solar radiation in mornings and evenings. 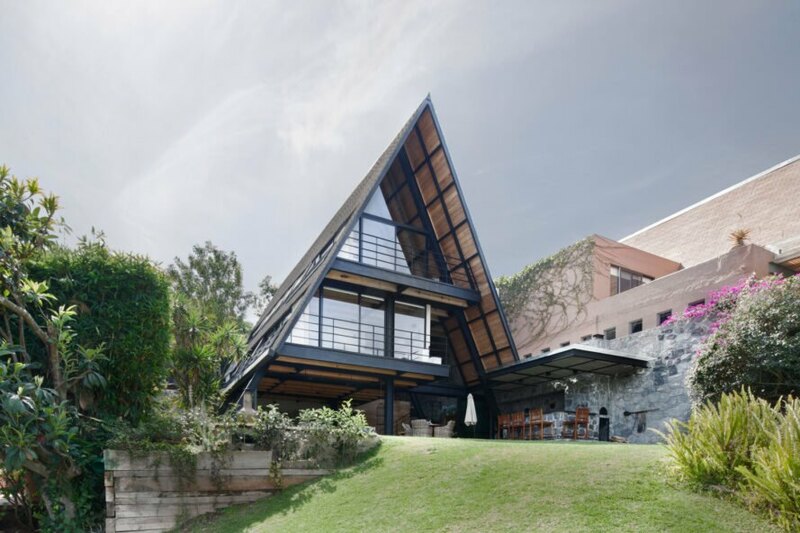 Metodo and Ingeniería Orca collaborated to create this stunning A-frame home in Mexico. 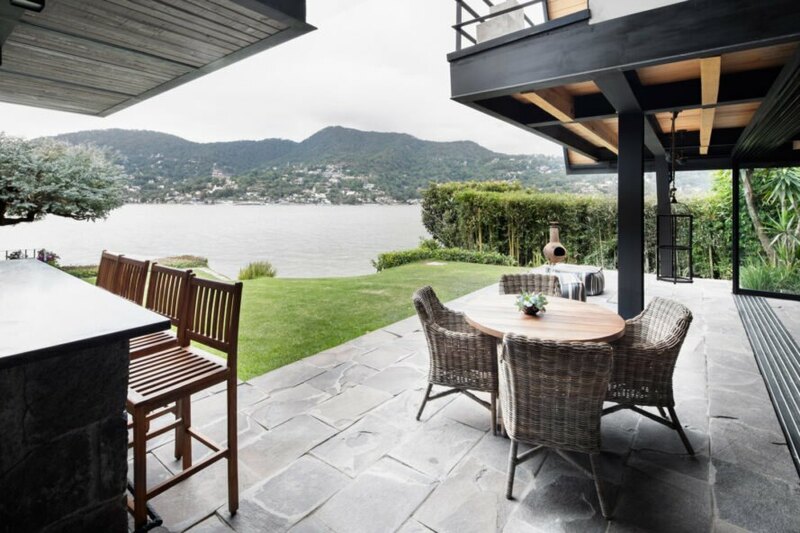 The house sits at the edge of Lake Avándaro. The home spans three floors. The ground floor is made for entertaining. There is plenty of seating for the residents and guests. An outdoor kitchen makes serving a crowd a breeze. Inside, the open-plan layout consists of a living room, dining area and modern kitchen. Local, natural materials were prioritized during construction. Views of the lake are available on every floor. House A is oriented for unmatched lakeside vistas.